The particular opportunities and challenges facing student members deserve focused attention. The Society of Biblical Literature is committed to this focused attention, and we will redouble efforts to develop programs and policies that provide students more opportunities and enable their interests to be represented in SBL governance. It is with this effort in mind that we are providing explanations of two policies recently adopted by Council regarding student participation in the Society’s Annual Meeting. 1. All students without a doctoral degree are required to submit to the Program Unit Chair the full text of the paper they will read. The paper will be submitted at the time of proposal. Student proposers will submit the paper they intend to read, not a full-length article intended for written distribution. 2. The number of sessions students can participate in will be limited to one. This policy pertains to participation as panelist, presenter, and respondent. 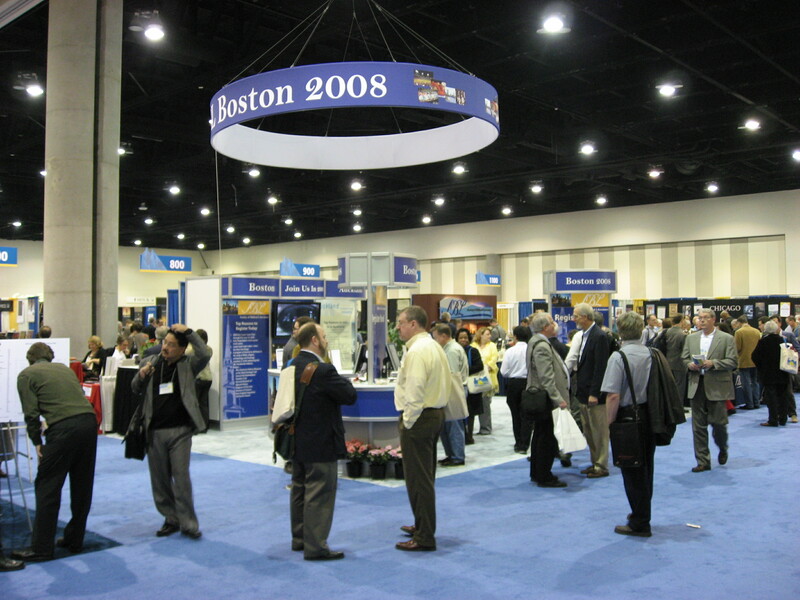 Policies limiting an individual’s participation on the program have been in effect for much of the Annual Meeting’s recent history, and they are common among peer ACLS organizations. For a variety of reasons, in an increasingly pressurized academic market, SBL is reinstating these policies. Moreover, limitations apply not just to student members but to participants in general, and Council’s recent policy statement included actions concerning all members as well as Affiliate organizations. Every member of Council was once in your position – a student member eager to contribute to the field and to engage with senior scholars. That remains a primary purpose of the Annual Meeting, and we encourage you to attend, submit a paper, and engage with colleagues. In addition, Council recognizes that the future of the field is in your hands, and that new ideas, fresh perspectives, and brilliant research are age-blind. Our student members push the profession forward and sustain it, not only through intellectual innovation but also exactitude, care, and hard work. We all know that there is much at stake for student members and that, as a result, you consistently produce work of a high caliber. These policies were made in part to mitigate those high stakes and to ensure that student presentations fit into a larger goal of fostering a diverse, moderated, and fair career path into academic life. First: at every Annual Meeting we now schedule over 1,700 participants in ten timeslots. For the same reason that Council limits full members to two participations, students have the opportunity to participate once as panelist, presenter, or respondent at the Annual Meeting. We are opening up the field to more student participants, and so more new voices. This allows for a more diverse SBL and Annual Meeting and provides more opportunity for student member participation. Second: a traditional “guild” offers a pathway into its profession through a series of stages. For student members of SBL, that pathway is to submit and deliver a paper at a Regional Meeting, collect feedback from peers, and then to seek participation in the Annual Meeting after a process of mentoring, discussion, and informal peer review. The Annual Meeting does not replace Regional Meetings; indeed, the latter are an integral and rich testing ground for new ideas. Third: because the stakes are so high for students and with the goal of modeling best practices for the field, Council agreed that a full-length paper submission is to the advantage of students and serves as preparation for that much-maligned academic master or mistress – the deadline. Limiting student members to one participation will facilitate their focus on one quality presentation in the midst of demanding thesis or dissertation work. It is also felt that the policies will increase the “currency” of student presentations at the Annual Meeting, making the notation of such presentation on a CV more valuable. These policies will ensure more diverse representation of student work at the Annual Meeting, cultivate career path helps already in place for SBL student members, and model best practices that can serve as an example for all our members. Of course, all members should pursue the highest quality presentation, and student members present superb papers year to year, just as do independent scholars and tenured faculty. The intent behind these decisions, as I hope I have made clear, is to give students greater opportunity to achieve and display their important contributions to the field. Students’ success at the meetings and in their careers, indeed, is Council’s main concern. As a Society, we will continue to develop and revise policies together, with the broadest interests in mind and in order to foster the future of biblical scholarship. 1) Students are now required to submit the full text of the paper they will read at the time of proposal. 2) Students are now limited to one participation (panelist, presenter, respondent). Pat McCullough had alerted me that these changes had been adopted at this year’s meeting, but the policy has only now been announced. Apparently this is something of a response to Ron Hendel’s claims that the SBL’s level of scholarship is declining with respect to its academic rigor (something he credits to an apparent influx of confessional scholarship), with the student presenters receiving the brunt of the action from the Council. I for one am less than happy with the changes, which I think are both misguided and detrimental. Full disclosure: I have now presented (with quite positive feedback) at the last three SBL Annual Meetings, and in none of these cases have I had the full paper to be presented ready to submit at the time of the proposal. The first was a piece of a project I’ve been working on since 2003, but the conference paper itself (as read) wasn’t ready until about 1am the day I presented. The second was ready the week of the presentation, and this year’s was presented off an outline rather than read as a paper. That I didn’t even read my last presentation is especially germane to the first new restriction: the Council is presuming that everyone should follow the (atrocious) protocol of reading their paper verbatim at the meeting. With a few exceptions, the best presentations I have the opportunity of witnessing are exactly that: oral presentations given lecture-style, not paper readings at all. True to form, probably the best (or at least the most enjoyable) presentation I attended this year was delivered by Paula Fredriksen in the “Paul and Judaism” consultation—and it wasn’t a paper at all but a well-prepared lecture. If anything, we should be encouraging students to learn to give well-prepared lectures rather than reading papers aloud. What other forum uses this sort of communication protocol? We aren’t giving Presidential addresses from a teleprompter, we’re reading research we’re supposed to have worked on enough to know inside and out to other scholars who should be able to follow what’s going on. I certainly hope no one gives their classroom lectures the way they read these conference papers. Because the stakes are so high for students and with the goal of modeling best practices for the field, Council agreed that a full-length paper submission is to the advantage of students and serves as preparation for that much-maligned academic master or mistress – the deadline. Limiting student members to one participation will facilitate their focus on one quality presentation in the midst of demanding thesis or dissertation work. It is also felt that the policies will increase the “currency” of student presentations at the Annual Meeting, making the notation of such presentation on a CV more valuable. The point about the importance of the deadline is reasonable—one of the biggest reasons I try to present at conferences frequently is because they serve as excellent deadlines to get my work in a tighter, closer-to-publication form (whether I present them as a “paper” or not). But to pretend that the proposal will serve as an equally-beneficial deadline is just silly, especially when I have no guarantee my proposal will be accepted. If anything, this means I will have to spend more time, not less, pulled away from my dissertation work and articles already in progress. Given that, why would I ever waste the time writing a paper specifically for the proposal in February with no guarantee it will be accepted? The restriction of one appearance per conference adds an additional difficulty: given that many of the sections to which I submit are quite competitive, I’ll still likely submit more than one proposal just to ensure I have a good chance of presenting. But now, if I should get two acceptances, I’ll have to turn one down—turn down the ability to present a paper I’ve already had to write just to get it accepted! What a colossal waste of time (both mine and the committee’s)! There are numerous additional problems with the Council’s decision (e.g. international students’ access to the regional meetings so condescendingly referenced in Kutsko’s email, the fact that these restrictions violate the SBL bylaws regarding student membership as an equal membership with all the same privileges as “full” memberships), but I’ll leave it to others to address them in more detail. I will, however, add one more thing: Scapegoating student presenters for the claimed decrease in academic rigor in SBL scholarship (again, Hendel’s claim)—misses the point entirely. I have seen quite a few awful presentations and heard papers lacking academic rigor at conferences. Most of these have been given by faculty, not by students. This makes sense when one considers that student work generally has had to jump through more hoops to get to the presentation stage—typically having already been passed across the desks of advisors and other professors prior to the proposal, let alone the presentation itself. Students tend to have significantly more to lose when it comes to presentations (and are typically trying desperately to impress); as a result, student papers are at least as likely (in my experience) to reflect significant time, effort, and academic rigor (thanks often to help from faculty mentors) than those by senior scholars, many of whom have significantly more important projects in the works than some “unimportant” conference paper. In the end, this misguided decision seems only to serve as window dressing, a “see, we’re doing something to ensure academic rigor” move that is indeed “something” but it certainly doesn’t (and won’t) affect the level of academic rigor in the academy. (And it doesn’t even have the desired effect of giving the impression of more emphasis on rigor; a colleague of mine in the UNC Sociology department was shocked when I mentioned this to him, suggesting that such limitations were “bull$#!&” and would retard scholarship.) Instead, it only serves to marginalize the up-and-coming students who have the most to gain (and lose) in the conference environment. This is a decision that should be reversed. If the SBL is serious about improving the level of academic rigor at these conferences, my first suggestion would be anonymizing the call for papers like other serious disciplines. Let those who truly write good abstracts and have interesting and rigorous proposals be the ones presenting, not just the “big names.” That would improve academic rigor and scholarly credibility more than anything else—at the very least it wouldn’t just be a political move “scapegoating” an individual group not really responsible for any perceived slippage in research rigor. ADDENDUM: I’m already hearing from other graduate students that this will negatively impact the likelihood of their SBLAM attendance, since there’s little chance of them having a full paper ready to submit by the proposal deadline, and no one wants to have to waste time writing full papers for proposals that may not even be accepted. ADDENDUM 2: I also wonder to what degree the first requirement (full papers submitted) could simply be ignored or waived by section chairs (who certainly don’t want to wade through numerous full papers). I can’t imagine that this would be heavily policed. UPDATE: A Facebook group has now started for those who want to weigh in on this decision (unfortunately post-facto, as this is the sort of invasive change that should have been discussed more substantially prior to adoption). The Bulletin for the Study of Religion has also picked up the story, asking whether the SBL can take away the full benefits of membership from those who are supposed to have them. I agree with you, especially regarding the idea that papers must be read. Your paper was one of the better ones I heard at the whole conference, both because it was good material and because you engaged the audience. So many of the sessions bored me to tears, both because it was poor material and because the presentation was poor! Great thoughts. This was my first year at SBL and I have never presented, but I hoped to present next year. That is basically shot to gehenna because there is no way I can prepare the paper in time.